Over the last two centuries, artists, critics, philosophers and theorists have contributed significantly to such representations of "the economy" as sublime. It might even be said that much of the emergence of a distinctly "modern" art in the West is inextricably linked to the perception of art's own autonomy and, therefore, its privileged, mostly critical, gaze at the terrible mixture of wonder and horror of capitalist economic practices and institutions. 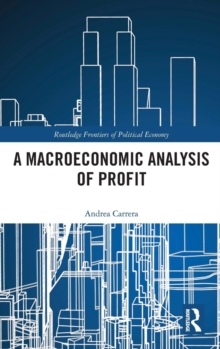 The premise of this collection is that despite this perceptual sharing, "sublime economy" has yet to be investigated in a purely cross-disciplinary way. 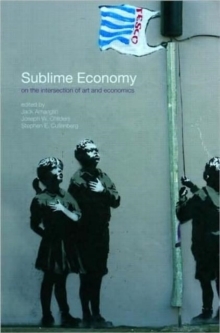 Sublime Economy seeks to map this critical territory by exploring the ways diverse concepts of economy and economic value have been culturally constituted and disseminated through modern art and cultural practice. Comprising of 14 individual essays along with an editors' introduction, Sublime Economy draws together work from some of the leading scholars in the several fields currently exploring the intersection of economic and aesthetic practices and discourses. A pressing issue of this cross-disciplinary conversation is to discern how artists', writers', and cultural scholars' constructions of distinct conceptions of economic value, as pertains to aesthetic objects as well as to more "everyday" objects and relations of mass consumption, have contributed to the ways "value" functions in and across disparate discourses. 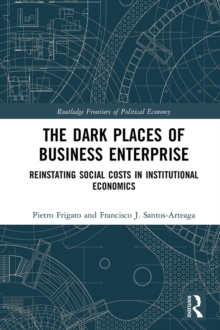 Thus this book looks at how cultural critics and theorists have put forward working notions of economic value that have regularities and effects similar to those of the "expert" conceptions and discourses about value that have been the preserve of professional economists.